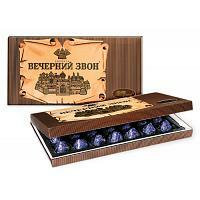 "Inspiration" chocolate praline candies with crushed hazelnuts produced by the Babaevsky confectionery factory located in Moscow. Weight: 14 oz (400 g). Imported from Russia.